Whether it’s sticking with a new years’ resolution, quitting smoking, or making healthy changes to your diet – there’s a range of support out there to help you improve your health and wellbeing in 2019. 6 out of 10 people (57%) in England will make a healthy new years’ resolution, but research shows 2 in 5 of those will have given them up within the first month. Public Health England (PHE) is supporting people to stick to their healthier new year’s resolutions with the help of the ‘How Are You?’ quiz. The free, online quiz analyses your lifestyle to provide a personal health score and get tailored advice on how to improve your health. 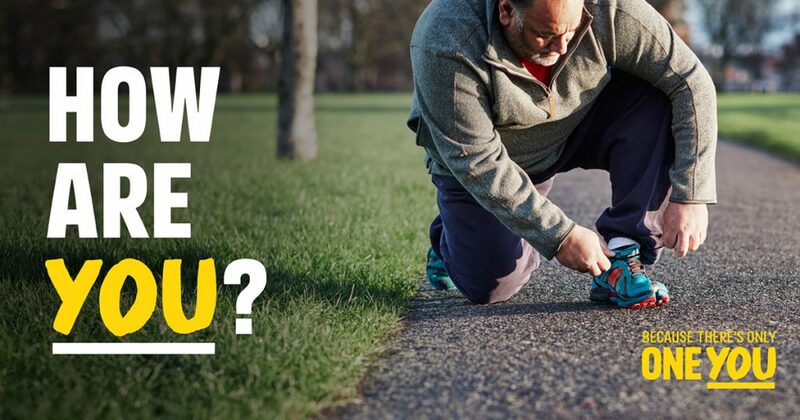 Over 2.5 million people have taken the How Are You quiz, so why not join them and take the quiz to get your score and get support to help stick to those healthy resolutions for 2019? There a number of free apps available to download to help you along the way including Active 10, Drink Free Days, Couch to 5K, Easy Meals and Smokefree app. The apps are free to download and are available from the Apple App Store and Google Play. Is smoking something you want to give up in 2019? Of the 6.1 million smokers in England, six in 10 want to quit and January is the perfect time for this. Many will try to quit using willpower alone – or ‘cold turkey’ – despite this being the least effective method. This is where the Smokefree app can help. Public Health England’s (PHE) hard hitting Smokefree ‘Health Harms’ campaign launched on 28 December making smokers aware of the immediate, personal and irrefutable harm to health from every single cigarette. The campaign sees the release of a new film showing the devastating harms from smoking and how these can be avoided by switching to an e-cigarette or using another type of quit aid. Smokers are encouraged to contact their local stop smoking service One You East Sussex and get a free ‘Personal Quit Plan’ which helps smokers find the right support for them to quit in just three easy steps. Change4Life has launched a new campaign to encourage families to ‘make a swap when you next shop’ to help cut back on sugar. Children in England are having around 2,800 sugar cubes more than they should each year, more than double the maximum recommended amount. Too much sugar is bad for children’s health. Most of the sugar children are having comes from sugary drinks, confectionery, biscuits, cakes, desserts, higher-sugar breakfast cereals and higher-sugar yoghurts. Change4Life is showing families how easy it is to cut back on sugar by making a few simple swaps to their everyday food and drinks. Lots of partners will also be highlighting healthier options in-store and in their own advertising and many will be using a new Change4Life ‘good choice’ badge to make it even easier for families to make healthier choices. Make a swap when you next shop. Sign up to Change4Life today for great prizes, easy tips and meal ideas. Make a swap when you next shop. Sign up to Change4Life today for great prizes, easy tips and meal ideas. This entry was posted in News on January 28, 2019 by East Sussex Better Together.